In my career, I advocate on behalf of international refugees and asylum seekers to help them understand and employ their legal rights and responsibilities as new comers to the United States. I have worked with Tyler Christians for approximately 3 years on a number of occasions to help process Green Card applications, Asylum cases, advise on criminal allegations and juvenile affairs. He is not only acutely knowledgeable of the written law, but equally as important, he knows how to navigate how the law is interpreted and applied by each character within the legal context in which he is working ( local law enforcement, federal agents, DA’s, judges, trends and policies, etc). He knows what is happening on a policy level as well as what is happening on the ground. Along with his technical ability, he has demonstrated the upmost integrity in his personal vision and character. He listens well, asks good clarifying questions, is resourceful and communicates his legal strategy in a clear and concise manner. 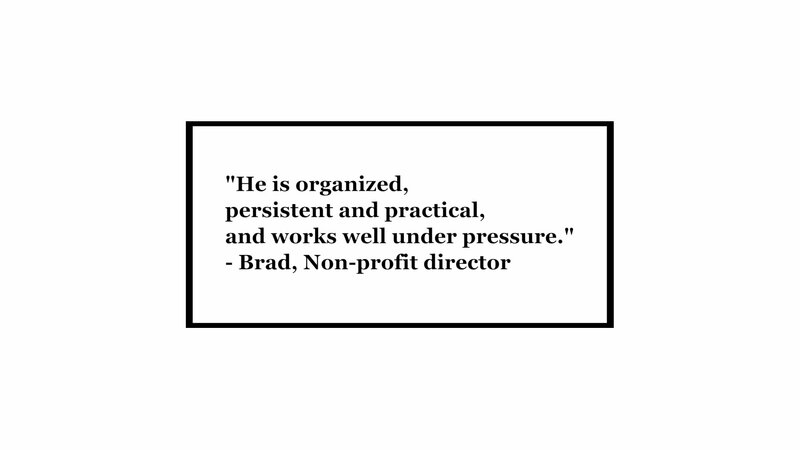 He is organized, persistent and practical, and works well under pressure. He has treated each of my cases with the same due diligence whether complicated or simple. Tyler is different. When he takes a case with me or one of my people at an agreed price, he is committed to the task of providing the best legal service and concern he possibly can and nothing less. Working in the non-profit sector, my budget is limited for both me and my clients. Tyler is one of the few lawyers I have worked with who deliver a premium experience even on a budget. With most lawyers, you get what you pay for and when you don’t have a lot you get less time and thoughtfulness towards your case, because at the end of the day its about the money. Tyler is different. When he takes a case with me or one of my people at an agreed price, he is committed to the task of providing the best legal service and concern he possibly can and nothing less. If he is not able to deliver his personal best with excellence, he will let me know up front and spare both of us the disappointment. He doesn’t have a problem saying yes, and he doesn’t have a problem saying no. That is so refreshing this world! I find this a rare trait working with attorneys, but working with Tyler has broken the stereotype that “all lawyers are the same”, they are not. I was fortunate to find an attorney who is good at their job and still cares about people. This has been my experience with Tyler Christians. I would highly recommend him.